So, what is really the best way to teach english to your Children? These opinions or answers, from QUORA.com - the largest question and answer community might help you.
" By considering the needs of this present era, it’s quite important to acknowledge the role of smart ways of elearning to gain education. 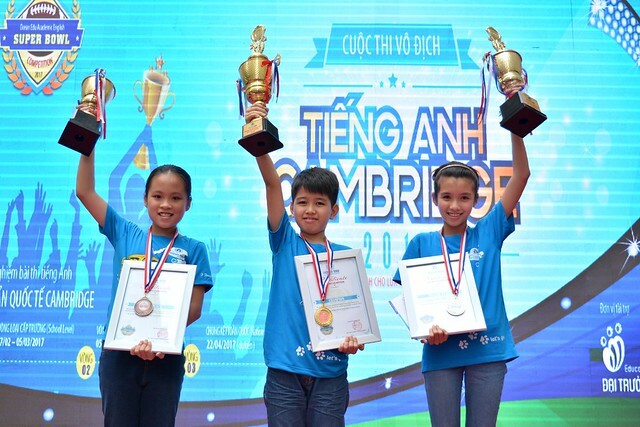 Likewise, I also tend to introduce one of the most significant and running strategy to learn English and gear up the performance level of kids. Yes, I’m talking about one of the best way of smart learning which is the use of smartphone apps. Being an educator and researcher, I’ve found some apps that are really promising to learn English, as well as to test performance via quiz activities. " - Nimra Karamat, M.Sc Sociology "How old are the kids? If they're reading in their native language and are young (6-7 yr old), I'd suggest the Montessori approach - matching cards in categories, like animals, flowers, etc. Setup would be 1 master card with a picture of an object and the word for the object in their native language and in English. The second card is identical, but cut into 3 pieces - picture, native word, English word. With the 1st cards up, the kids try to reassemble the 2nd card. Once they're comfortable, take the control cards, turn them face down, and reassemble the 2nd cards. Then the 1st card is used to check. This requires no teacher intervention. This won't teach them how the words sound, but it'll give them a start." "Speak it to them from birth. Seriously though, the best way is to have a native speaker read to them, tell them stories, talk to them and interact with them in English. The second best way would be to send them to a school where the language of instruction is English. If the child has to use the language for real communication, the child will learn the language." - Whitney Lane, English Teacher. Indeed there are countless ways to teach english to our kids from traditional way to the use of technology. 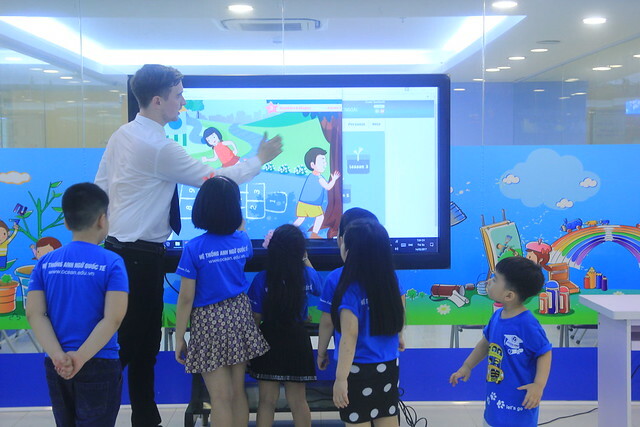 Ocean Edu Vietnam , largest english Institution in Vietnam with more than 30 branches nationwide - is currently teaching more than 27,000 kids students with our well developed curriculum. Want to learn English? Click Here.